Your feedback matters to us. Please take a few minutes to share how your experience was at Texas Orthopedics. Visit any of these sites to leave a review for your physician. For direct links, visit your doctor’s page on this web site. The compassionate care we deliver allows us to develop lasting relationships with our patients. Many times, we hear from our patients about how the doctors and staff at Texas Orthopedics have helped them. For those of you we hear from, we thank you for passing along your kind words. 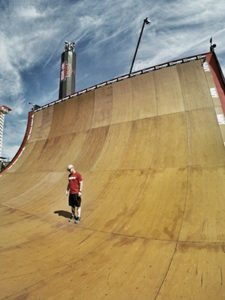 Dr. Laverty was the on-site orthopedic surgeon at X Games Austin in 2015 when I was competing in BMX Big Air and had an accident that resulted in bilateral calcaneus fractures, torn ACL, and fractured L-2. After assessing the damage, Dr. Laverty put a plan together that put me first while considering my future ability to compete. 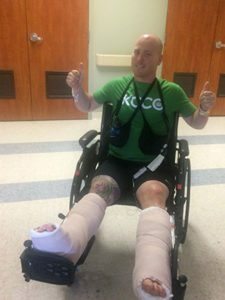 After surgery Dr. Laverty came to my room, pulled up a chair, and explained the extent of my injuries, how he fixed the damage done, walked me through the recovery process, and discussed my long-term outcome. Both Dr. James Smith and Peter Garcia have always been professional, friendly, forthright with explaining the nature of whatever is wrong and is/or possible be the problem and whether there was a way to fix/reduce the problem or whether there is nothing that can be done. Texas Orthopedics is a diamond and with the addition of James Smith, a rare diamond. – Cheryl M.
Thank you for your wonderful efficiency and joyful attitudes at the Central location. We were greeted with big smiles and kind voices. It was wonderful that Dr. Mukai came out herself to take us back to a room right away. – Patricia P.
Dr. Davis was very caring and answered all my questions. – Geraldine R.
I saw Dr. Hardy for a second opinion and I wish I had gone to him first! – Carol D.
Dr. Adams is a sweetheart and really seems to care. – Robin B.
Dr. Goldberg and Jared have been so helpful on my visits. – Caroline B. My life is wonderful with the new knees. In 2006, I could not walk because of the pain. Now, I can use both legs to go up and down the stairs. I would like to express my appreciation to Dr. Smith and his PA Jerry. I thank you very much for all you have done for me. – Haruko S.
Dr. Adams found and removed a malignant sarcoma tumor from my right knee and referred me to the M.D. Anderson Cancer Center where I went through another surgery. I have no doubt if Dr. Adams didn't cut out that tumor, not only when he did but in the way he did, I would not have my leg today. You could go so far as to say that he possibly saved my life, and I mean that. – Kirk O. Thorough follow-up, especially grateful for Dr. Schoen's information. Kind, accomplished, and nice! I love Dr. Schoen! – Jessie S.
I'm thoroughly impressed with Dr. Bunch. He has the rare combination most people look for in a doctor: extremely intelligent but also friendly and compassionate. He welcomes questions and gives you his full attention. His NP Angel is equally amazing, and I feel every bit as confident in the level of care when I have an appointment with her. Really a great team! – Susan P.
Dr. Mukai and Meredith Albright, PT have been terrific. My back pain is nearly gone thanks to them. I know I'll feel better soon and I appreciate the care and compassion they both provided. – Susan F.
Dr. Smoot changed my life. Thank you for your impeccable service to your field. Mike is a super nice guy as well. – Dan H.
Dr. Hurt was particularly nice and explained everything very clearly. He also was very conscious of the cost of MRI procedures, which I appreciate. – Brad K.
Dr. Kilbride has excellent customer service skills along with staff. I would only use Dr. Earl Kilbride, he is the best! – Donna C.
I spent over 30 years working in allied health care. Over those years I got pretty good at spotting quality in medical practices and I've gotta say that I think Dr. Smoot and the staff at Texas Orthopedics are the cream of the crop! Dr. Smoot is one of those rare physicians who actually listens with both ears and patiently discusses issues at hand while seated and looking you in the eye. He's obviously smart, but also empathetic, thoughtful & funny. – Sue R.
Call (512) 439-1001 or schedule an appointment online at any of our eight Texas Orthopedics locations in Northwest Austin, Central Austin, South Austin, Kyle, Cedar Park, Round Rock, Lakeway and Marble Falls.